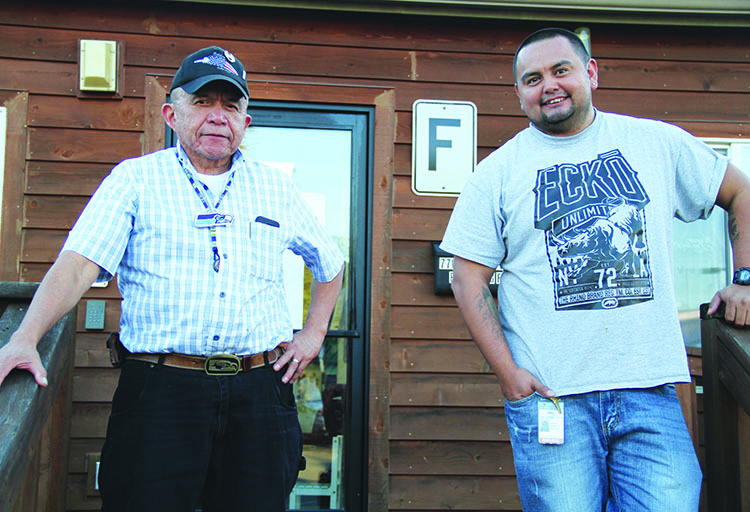 Tulalip tribal members Andy James and Cody Monger are leading the Young Men’s Group and helping to guide youth through life. 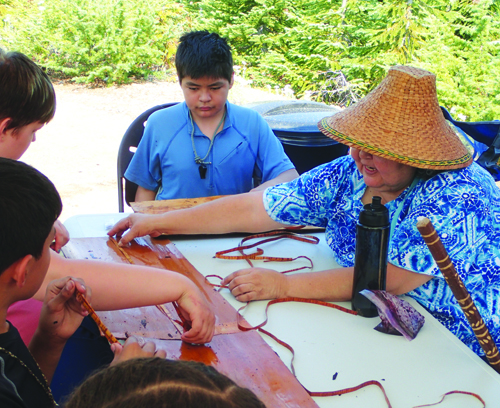 A new program that teaches the young men of Tulalip about their treaty, hunting, and fishing rights began this month. The group meets at the Family Haven center located across from the Boys & Girls Club. Led by Tulalip tribal members Andy James and Cody Monger, the group will meet on Tuesdays and Wednesdays after school from 3:30 p.m. to 5:00 p.m.
“We are saying ages 12-14 but that is a recommended age. 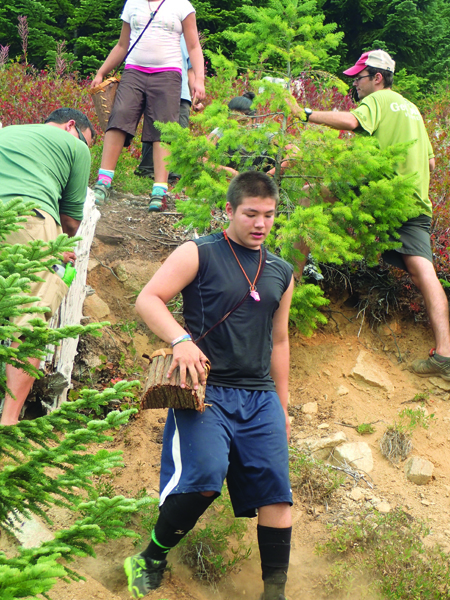 We aren’t going to turn anybody away who wants to participate,” stated Cody. 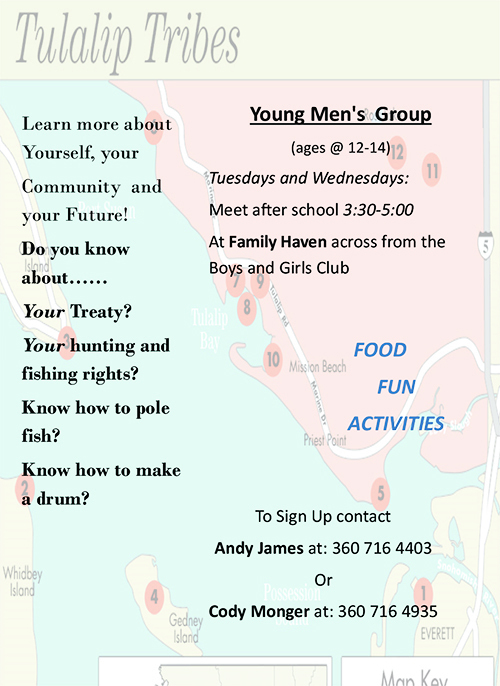 Young Men’s Group will feature many fun activities such as fishing and drum making. Andy expressed that while he is excited about making pre-cut hand drums, he eventually wants the group to start creating them from scratch. 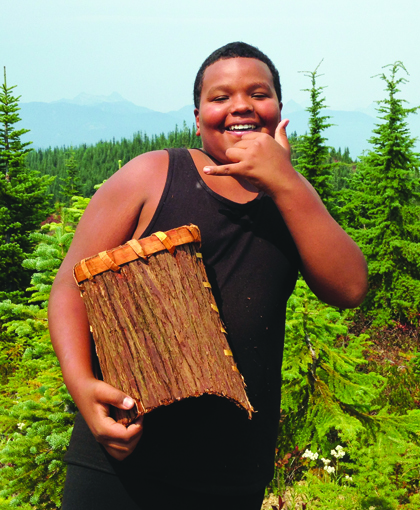 He believes that it is essential to know how to track, hunt, skin, soak and stretch the hide for their drums. “That’s where it all starts. 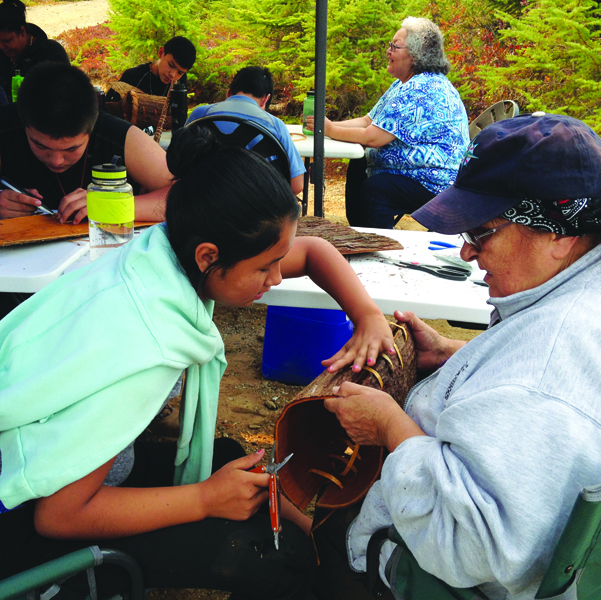 Our ancestors never received pre-cut drum kits and its important our kids learn the teachings the ancestors passed down generation after generation. 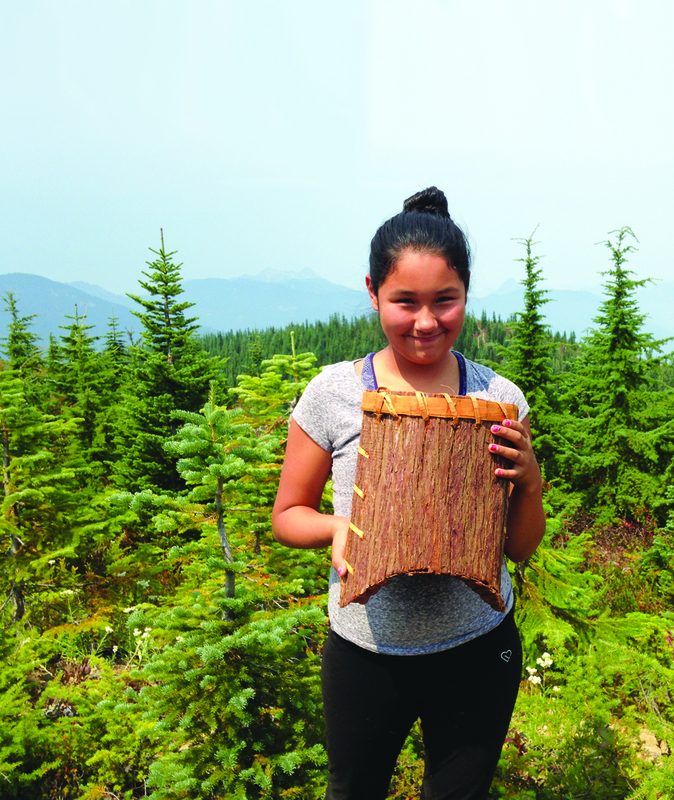 Afterwards, they can keep the drum and use it for cultural purposes and ceremonies or they can gift them. What they decide is up to them but the important takeaway is they wanted a drum, they made a drum, and now they know how to [make a drum] in the future.” Andy stated. Among the cultural activities and important lessons, Young Men’s Group will also cover areas that teen males want advice in, but don’t necessarily know how to ask for. 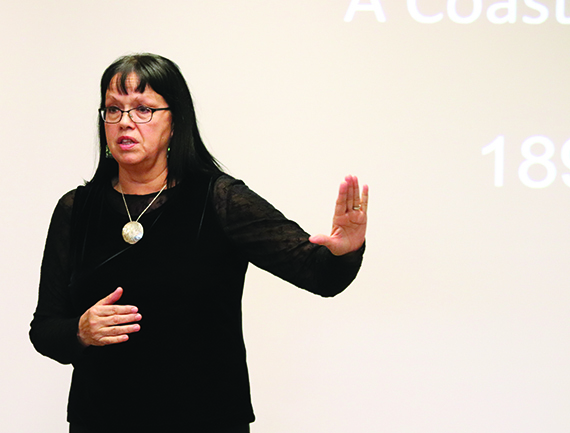 Topics such as conflict resolution, how to deal with anger, and family, social, and romantic relationships will be discussed during group meetings. “Our intent is not to take the place of the parents but to help these young men progress into life,” Andy added. 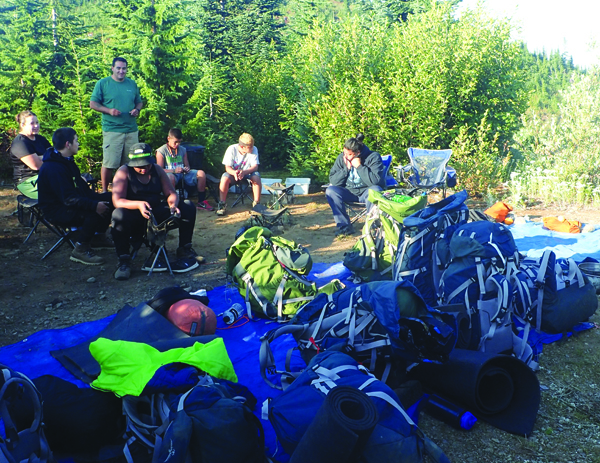 By instilling values and culture, Cody and Andy are taking on an incredibly important task of molding the minds of the young men of the Tulalip community. 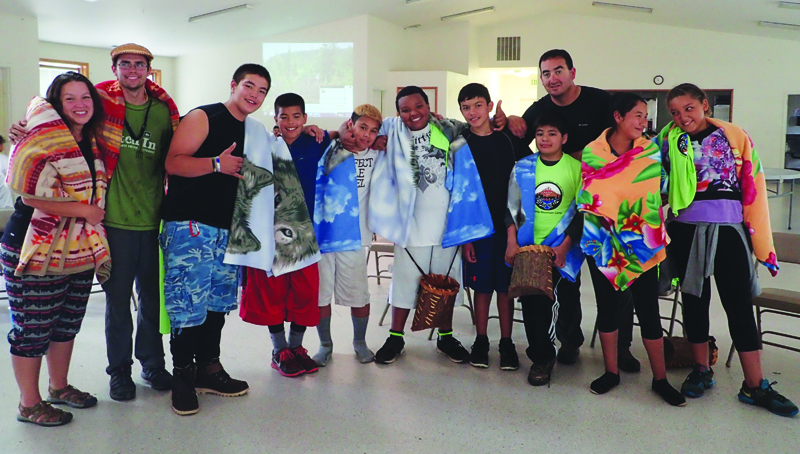 Young Men’s Group participants now have the opportunity to learn the teachings and traditions the Tulalip ancestors practiced and apply those lessons while learning how to survive in today’s society. To sign up and for more information please contact Andy James at (360) 716-4403 or Cody Monger at (360) 716-4935. 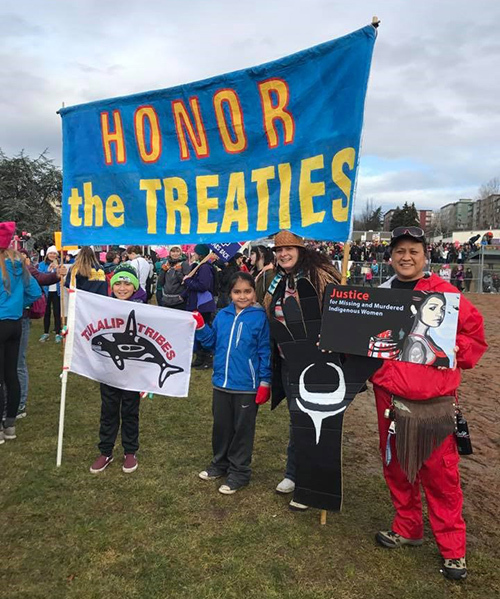 TAHOLAH, WA (7/9/15)—Federal District Court Judge Ricardo Martinez handed down a decision today favoring the Quinault Indian Nation, as well as the Quileute Tribe, confirming the tribes’ right to fish in the ocean. 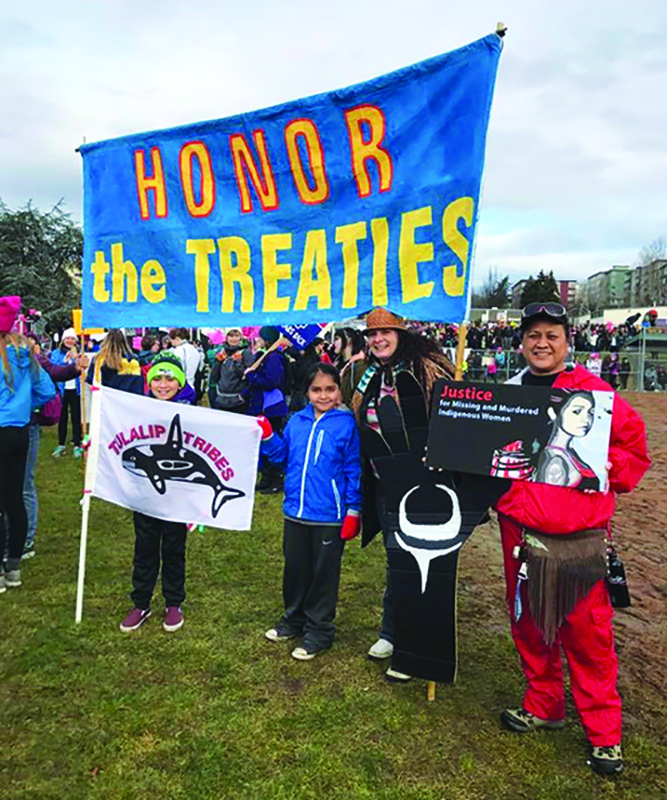 The case, which was first filed in 2009, pitted the two tribes against the Makah Tribe in a territorial battle for fishing rights. 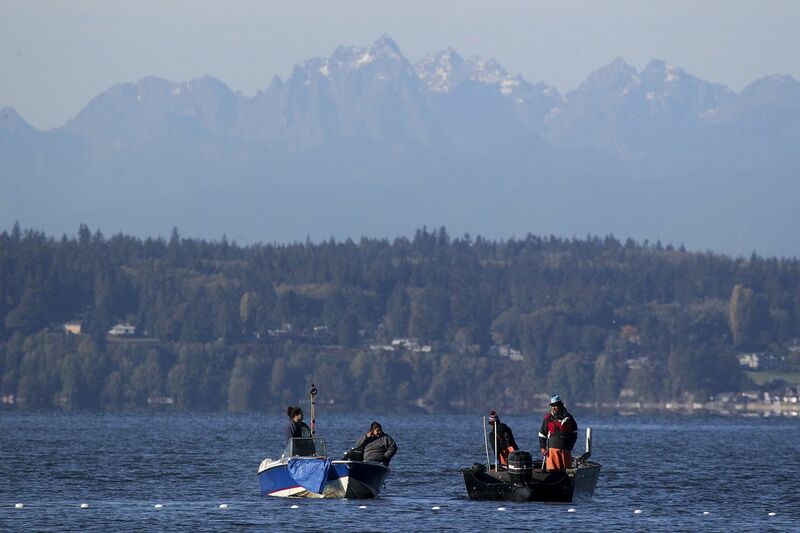 Judge Martinez ruled that Quinault Nation’s Usual and Accustomed fishing area extends 30 miles out to sea from the Tribe’s reservation on the Olympic Peninsula. “We are obviously very pleased with this decision,” said President Sharp. 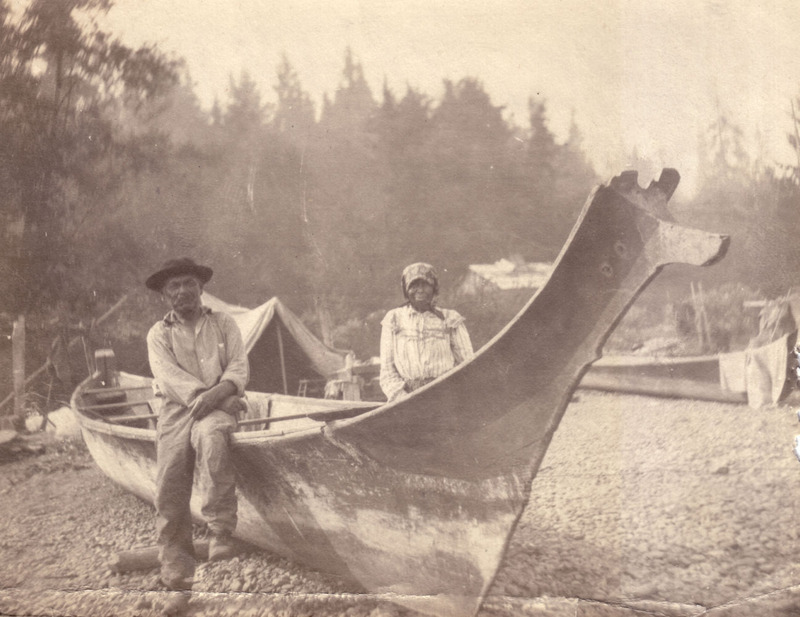 “We had no doubt whatsoever that our fishing heritage includes the ocean, and that was confirmed by the judge” she said. 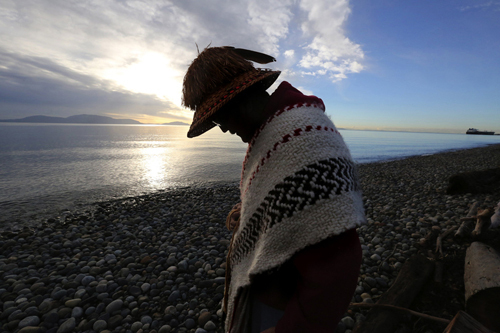 The decision confirms that Quinault fishers will be able to continue fishing in the ocean for generations to come. 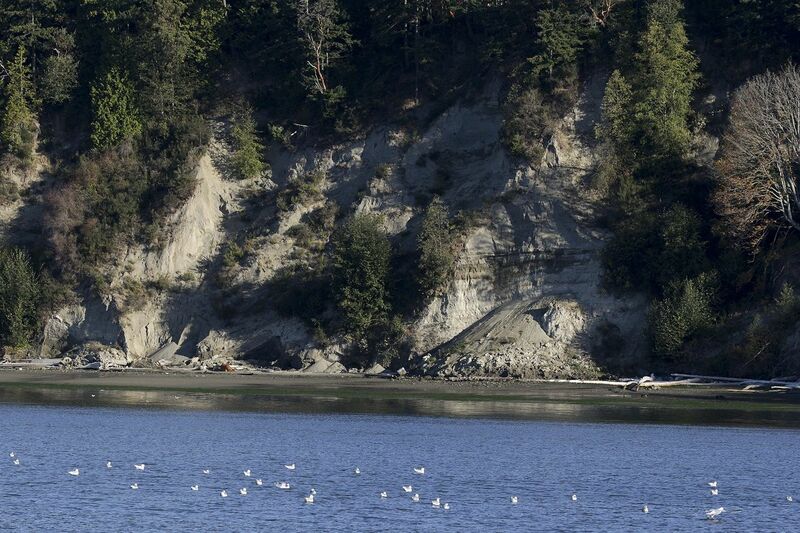 Judge Martinez accepted the Quinault Nation’s evidence regarding its heritage and reserved treaty rights. 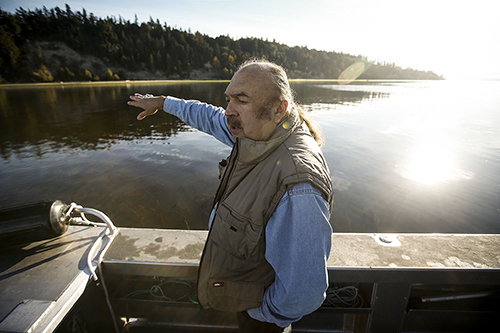 This lawsuit was part of the 1974 U.S. v. Washington (Boldt) case which confirmed tribal treaty fishing rights. 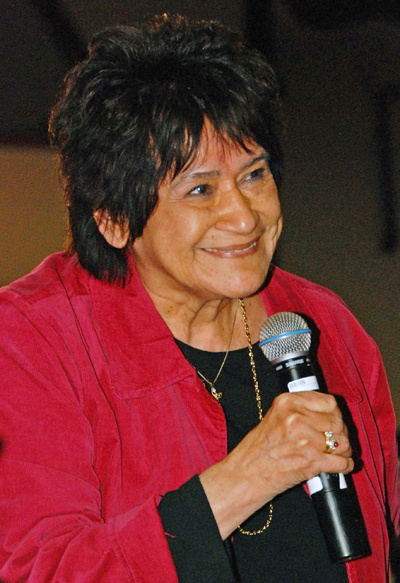 That case was supported by the U.S. Supreme Court in 1978. “Winning this case will not only help secure our long held ocean fishing heritage for our fishermen; it will also help us continue to manage ocean fish stocks properly. 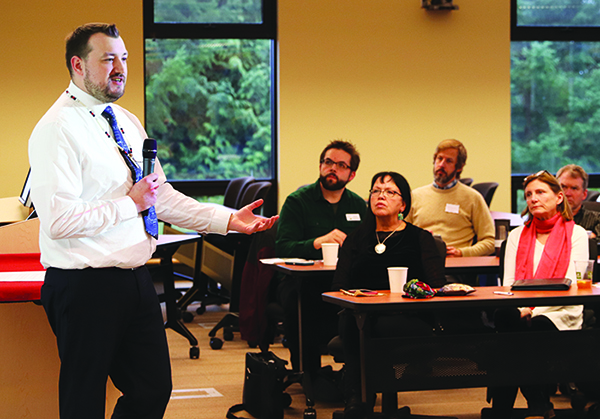 We will work with the Makah Nation, as well as other tribes and other governments to help assure that there are healthy stocks of salmon and other species in the ocean environment for many generations to come,” said President Sharp. 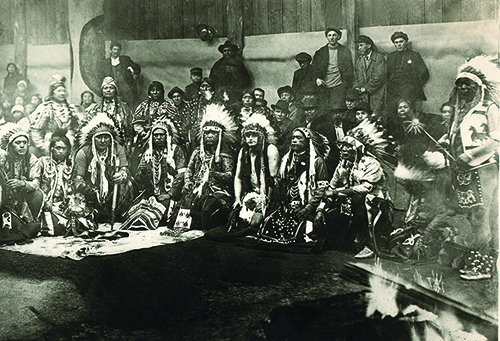 The Quinault Nation was represented in the trial by Eric Nielsen of Nielsen, Broman & Coch of Seattle. 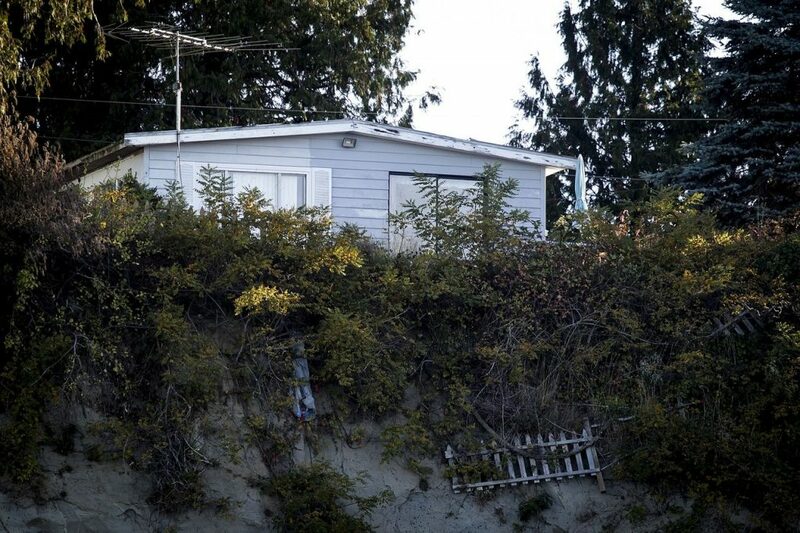 Quinault attorney Ray Dodge also contributed significantly to the case, which resulted in an 83 page decision by Judge Martinez, much of which documents the extensive long term relationship of the Quinault people with the ocean.